The Château de Beaucastel is a classic among Châteauneuf-du-Pape wines, famous for its quality and aging potential. As one of the few wineries here all 13 approved grape varieties are grown and used in the final cuvées. 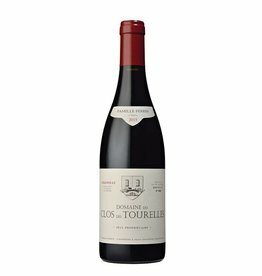 In addition, it has a high proportion of Mourvedre, which makes it darker and more structured than Grenache-based wines, which are the rule in Châteauneuf. 2016 is a gigantic vintage with immense concentration, at least on the same level as its predecessor 2015 and very long-lived. 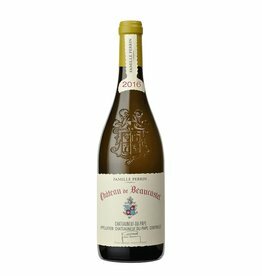 The fascinating thing about this Chateauneuf-du-Pape by Chateau de Beaucastel, besides its power, is this unbelievable fineness and delicacy, this oenological brilliance is never fat or filling. Great! James Suckling rates a spectacular 99/100 points, in Robert Parker's Wine Advocate it is worth 97/100. This makes 2016 one of the greaztest vintages ever produced of this wine legend. In addition, the tannins at Château de Beaucastel today are much finer than in previous decades, this is very great wine making with a finesse, as they are extremely rare in the southern Rhone. Not cheap, but worth every penny!